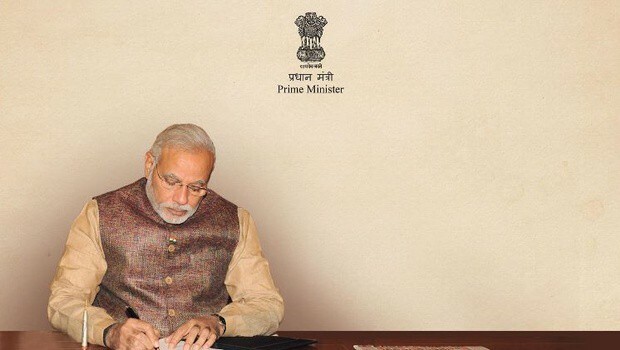 It was on May 26, 2014, our Prime Minister Narendra Modi assumed responsibility of the Government of India. Since the time he has taken office, certain important decisions have been taken by the Cabinet. By the idea of changing India into an electronically empowered economy. On August 21, 2014, the “Digital India” campaign was launched. This programme has been envisaged by Department of Electronics and Information Technology (DeitY). ‘‘We can’t make available thousands of doctors and school teachers to every remote area of the country, but we can make their services available through broadband at multi service centre at every village”. In the nutshell, this is the aim of Prime Minister Narendra modi. With digital India, Modi plans to change over India into a connected learning based economy in which world class government is offered at a click of mouse and the people of India to connect with each other digitally or electronically, so that there is effective governance. It also aims at reducing paperwork by making all the Government services available to the people electronically. There is also a plan to connect all villages and rural areas through internet networks. The Government plans to complete this project in five years. The plan is evaluated to be executed by 2019 at an expense of around 113000 crores. • Recognition of Narendra Modi as a brand not only for state audience, but also for national audience. • Controlling and managing strongly how he is projected. Work on projecting him as face of development & growth and working towards developing a secular image. • The development campaigns aim to cross market his achievements on a state and national level.Design unique campaigns with focus on state as well national elections. • Work effectively to counter opposition’s ad campaigns in a coordinated manner. 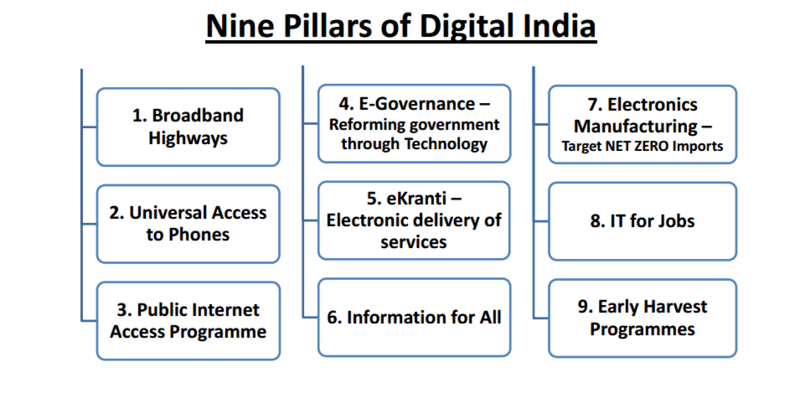 2)Three major components of Digital India: Digital infrastructure, digital literacy and digital delivery of services. The government of India hoped to create a digital architecture for the delivery of services, help spread digital literacy in the country and make the people of India digitally empowered as an outcome. 3)PM Narendra Modi`s dream for Digital India: Advanced India is profoundly aspiring task of PM Narendra Modi. While tending to Indian digital summit via video conferencing, he shared his vision of Digital India. 5)Brain Behind Modi`s Digital India campaign: Technology entrepreneur B.G.Mahesh, one of the technology brains behind the digital branch of the Narendra Modi Digital India campaign. He is the founder Greynium Information Technologies Pvt. Ltd., which owns OneIndia, one of India’s first regional language news portals. 6)Digital education could be one of the segments: Digital India is one of the most ambitious projects launched by the Indian government. In the education system, subject modules arranged by the private segment could be conveyed online to the CSC which can be accessed by children. Despite making right to education a fundamental right, India struggles to fill its schools with teachers over the hinterland, prompting low quality of training and incalculable dropouts. The education sector can be best benefited from the initiative. 7)Digital empowerment of citizens: There must be a universal digital literacy. All digital resources will be universally accessible. All government documents/certificates to be available on the Cloud, availability of digital resources/services in Indian languages, collaborative digital platforms for participative governance, portability of all entitlements for individuals through the cloud, social media and safe and secure internet in the nation. 8)E-governance is one of the focuses of Digital India campaign: E-governance is “easy governance, effective governance and economical governance”. “E-governance is way to good governance… There was a time when it was said that the Railway unites the country. Today IT has the power to unite the country and its people,” said by the Prime Minister. Single window access to all persons by seamlessly integrating departments or jurisdictions, availability of government services in online and mobile platforms. 9)The state government aims to empower the Gram Panchayats to be transparent, accountable and responsive: High speed internet should be made accessible in all gram Panchayats, Cradle to grave digital identity, Mobile and Bank account would empower cooperation in digital and financial space at the individual level. The ambitious government plans to make issue of birth and death certificates, house tax, pension schemes, SGRY development works and details of beneficiaries will be computerized. 10)Digitalization of Health sector: India is considering setting up a National eHealth Authority (NeHA) for standardisation, stockpiling and exchange of electronic health records of patients as a major aspect of the government’s Digital India program. The authority, to be set up by an Act of Parliament will work on the combination of various health IT frameworks in a manner that ensure security, secrecy and privacy of patient information. An incorporated electronic health record vault of all residents which is a definitive objective of the authority will ensure that the health history and status of all patients would dependably be accessible to all health institutions. 11)Shaking hands with GOOGLE INDIA is another big step by Modi`s government to accelerate Digital India programme: Google has joined hands with the Central Government to understand Modi’s arrangement for a Digital India. The main focus of Google is to improve the internet access. Google India will continue to build a vibrant language ecosystem online and help the Government transition into the increasingly ‘mobile’ India. Google will also introduce curriculum for schools, officials and elected representatives. Digital India is a dream for the nation. In this manner, if all goes as planned, digital India plan will give enormous help to the Indian economy and the world will look towards India as a next big idea. It’s a huge technical accomplishment. The cutting edge has the chance to convey India to the world and convey the world to India. Also, a major open door is to embrace the internet. The initiative has succeeded in connecting 3 million people to the Internet. Digital India envisages making India a leader in digital delivering health, education and banking services.